Another week has passed and it has really changed weather wise here, there is a real Autumn chill in the air and I have been digging out the woollens, this is not as easy as it sounds as we are still in boxes and have at the moment at least two shawls on the missing list. Knitting wise I have had to give my stripe study a rest this week as it was really aggravating my shoulder and neck so its made slow progress. 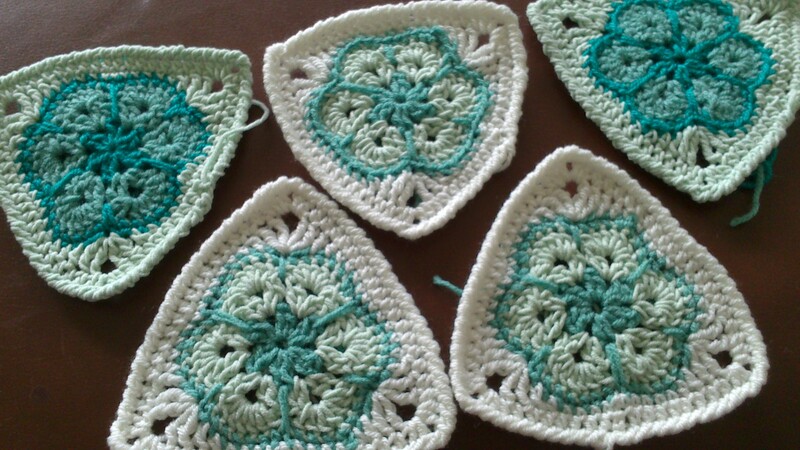 So instead I have concentrated on making some bunting for the farm shop. They still need their ends sewn in and blocking but I love this pattern really easy instructions to follow and its free!!! 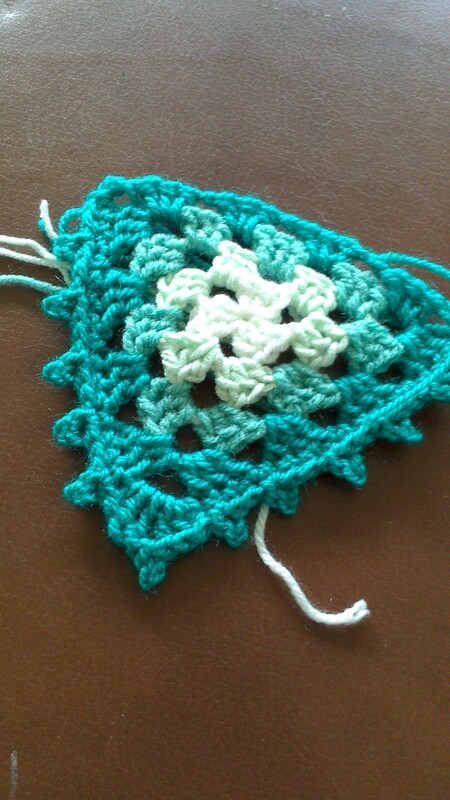 I really loved the picot edging but I would have to add a couple of extra rows as its coming up a bit small for my needs. 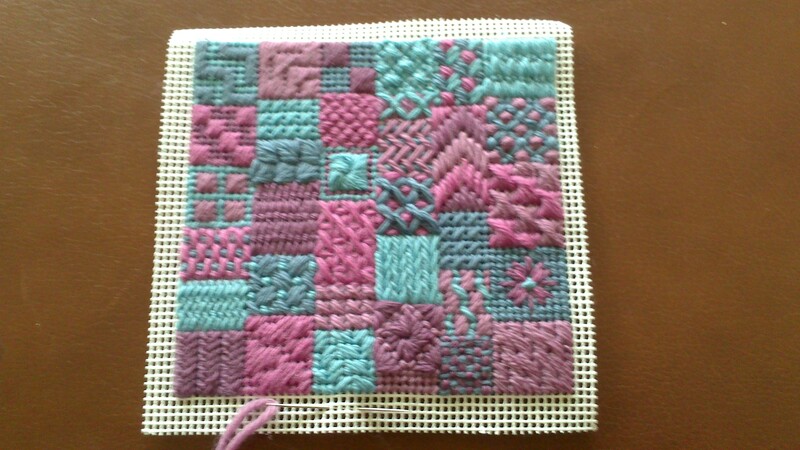 I did manage to finish my second square of needle point. I have loved doing this and although some of my tension leaves a lot to be desired I am quite happy with the results. I used this Stitch Dictionary by Lucinda Ganderton which for the easier stitches I found really good, nice clear photographs and a bargain if you buy a used copy from Amazon, but I found the charts on this web page far easier to follow on the more complex patterns. I still haven’t been brave enough to start the Pintangle challenge.